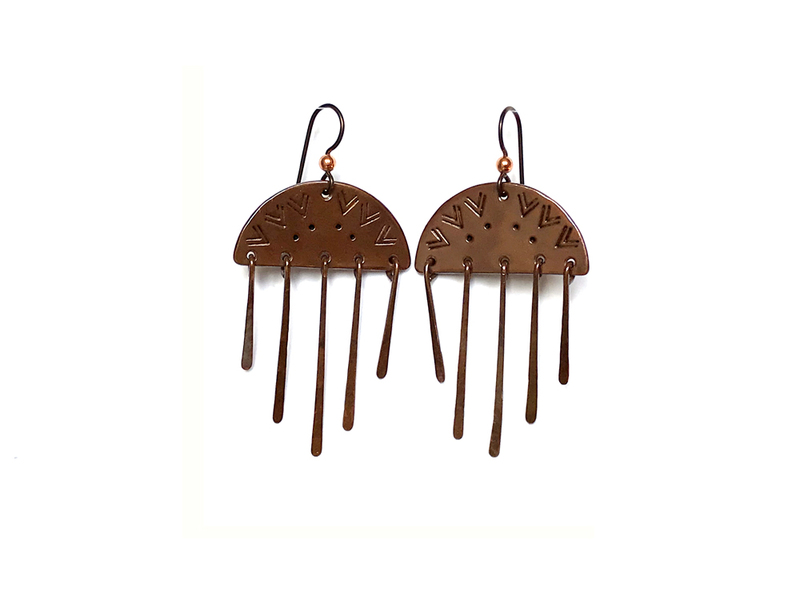 For all the early birds and night owls, lovers of the dawn and dusk, pick your favorite stamped design of Daylight Dangles Copper Earrings. These half circles feature five individually hand-hammered dangles that taper to a point in the center. Approximately 2″ from bottom of earwire. Don't miss out... be in the know! Sign up for the newsletter to get updates on new products, special offers, exclusive list only offers, and other fun stuff! Your privacy is valued and because of that, your information will NEVER be shared or sold.